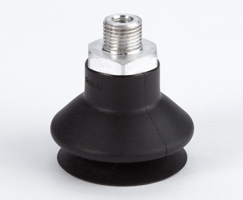 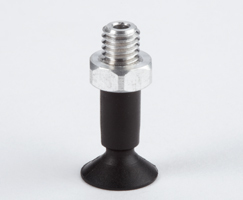 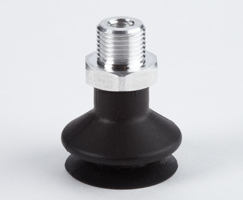 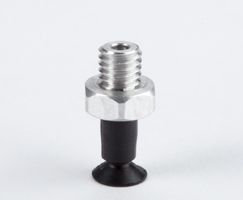 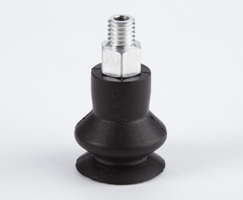 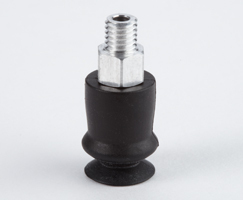 Vacuum cups or suction cups are the component used to actually lift or hold the work piece in a pick and place application. 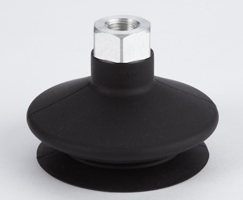 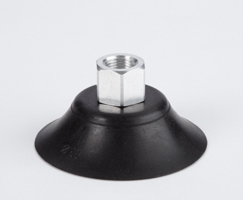 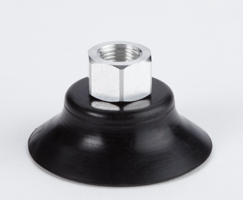 Cups can be either flat or bellows type, for use on flat or uneven surfaces. 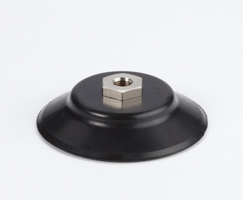 Available in Nitrile for wear and oil resistance or silicone for weather or ozone resistance, our range covers from 6mm to 150mm diameters.